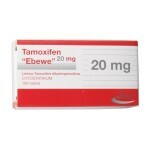 Tamoxifen is an antagonist of the estrogen receptor in breast tissue while in ther tissues such as the endometrium, it behaves as an agonist, and thus may be characterized as a mixed agonist/antagonist. 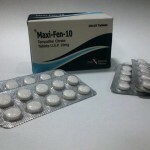 Tamoxifen Citrate is used to treat breast cancer that has spread to other parts of the body (metastatic breast cancer), to treat breast cancer in certain patients after surgery and radiation therapy, and to reduce the chances of breast cancer in high-risk patients. 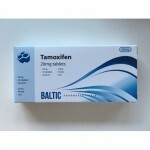 Tamoxifen was discovered by pharmaceutical company Imperial Chemical Industries (now AstraZeneca) and is sold under the trade names Nolvadex, Tamoximed and others. 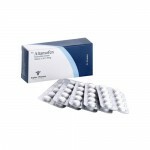 Tamoxifen Citrate is very popular for preventing estrogen related gynecomastia, resulting from elevated estrogenic levels and is one of the most popular and utilized drug by athletes and bodybuilders worldwide, especially in the post cycle therapy. While using it the Tamoxifen Citrate molecule bound to this receptor, estrogen is blocked from exerting any action, and the anti-estrogenic effect is achieved. 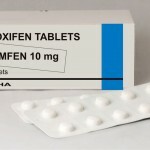 Users should know that Tamoxifen acts only as an estrogen antagonist and does not prevent aromatization process. 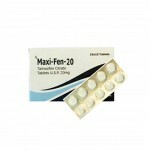 Tamoxifen compounds proved the ability to increase production of follicle stimulating hormone and luteinizing hormone in the human body. It is accomplished by blocking the negative feedback inhibition caused by estrogen at the hypothalamus and pituitary gland. The disadvantage of this steroid is in the fact that after its use discontinuation one can experience a rebound effect of the estrogen levels. 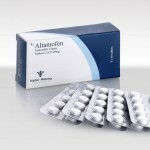 Tamoxifen Citrate can be stacked with such drugs as Mesterolone for a stronger anti-estrogenic effect. The combination of Tamoxifen Citrate, Clenbuterol Hydrochloride and Methandienone is also quite utilized by bodybuilders during a cycle. Patients taking Anastrozole or Letrozole should not take Tamoxifen Citrate as serious effects of this interaction could occur.